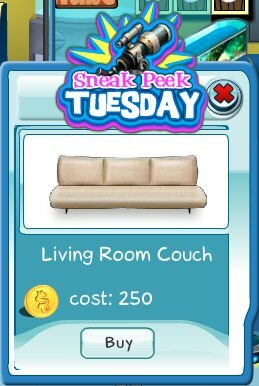 This week's Sneak Peek Tuesday item is the really cool Living Room Couch. Perfect for your penthouse or patio. Get this item today before the limited sneak peek ends.